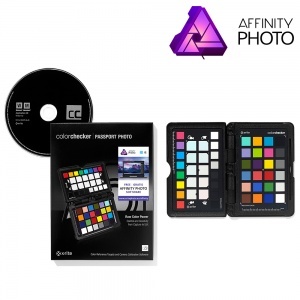 "Affinity Photo redefines the boundaries for professional photo editing software. With a meticulous focus on workflow it offers sophisticated tools for enhancing, editing and retouching your images in an incredibly intuitive interface with all the power and performance you need"
Affinity Photo has the best PSD support out there, plus all the standards you'd expect including PNG, JPG, TIFF, EPS, PDF, and SVG. RGB, CMYK, LAB, Greyscale. End-to-end CMYK workflow with ICC colour management, and 32-bit per channel editing. Denna mjukvara, till ett värde av 55€, kommer med följande produkter.